A gorgeous new series for girls from the bestselling author of the 'Alice-Miranda' series. Clementine Rose was delivered not in the usual way, at a hospital, but in the back of a mini-van, in a basket of dinner rolls. So begins the story of a lovely little girl who lives in Penberthy Floss in a large ramshackle house with her mother, Lady Clarissa, their butler Digby Pertwhistle and a very sweet teacup pig called Lavender. 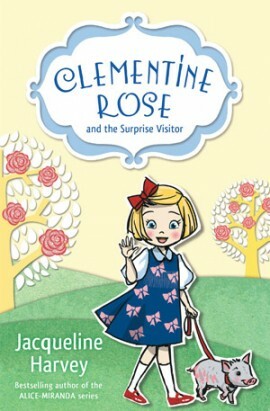 Little girls who love stories by Enid Blyton will fall head-over-heels for darling Clementine Rose and her priceless piglet Lavender.